At Motorcars International, we offer an industry leading warranty on the work we perform. Most other independent repair shops are not able to offer as comprehensive a warranty, or do not offer the length of warranty that we do. We are able to stand behind our service and repairs with a 24mo/24k warranty because we employ the best technicians and source the most reliable parts available. We’ve been here since 1981, so you can rest assured that we are able to honor our warranty. We want you to be confident not only in our work, but confident in our integrity. MOTORCARS INTERNATIONAL INC. warranties all parts and labor for 24 months or 24,000 miles, whichever occurs first. Some exceptions may apply to some parts. Warranty does not cover parts designed to wear out, such as brake pads. 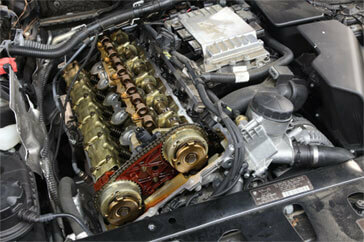 Warranty covers only those parts replaced, labor to replace those parts, and those adjustments made at time of repair. No warranty assumes liability for parts damaged due to driver negligence. No warranty covers damage to parts replaced, labor to replace those parts, or adjustments which are damaged or changed due to existing conditions. Warranty does not transfer ownership with car. Parts purchased for customer installation carry the manufacturer’s warranty for that part only. Please inquire at the parts counter in reference to specific parts.